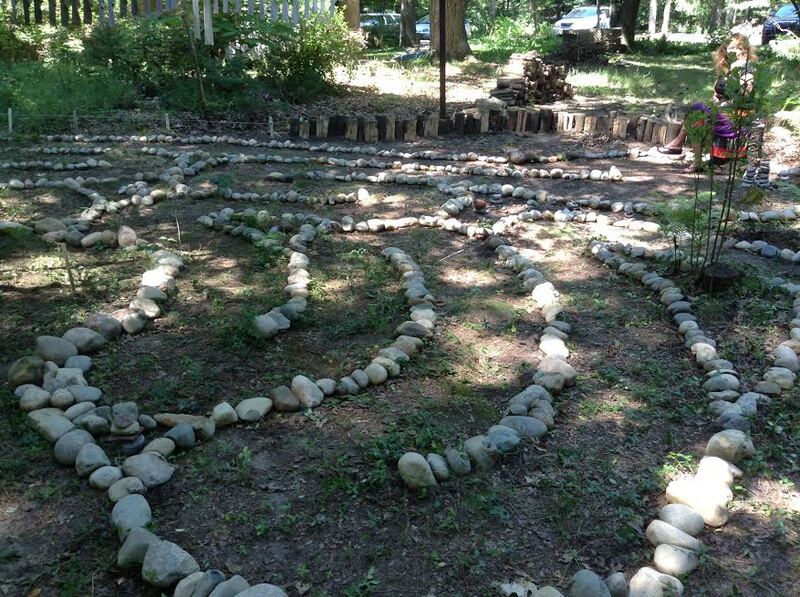 Spirit Space is excited to share our beautiful five circuit labyrinth that is made from all natural products. Come meander and meditate in the serene wooded environment of this sacred land. The property of Spirit Space is home to over 50 varieties of plants. We honor the grounds we have been gifted. A labyrinth presents a single pathway in and that becomes the only way out. The journey is one of faith. Walking a labyrinth is to dance your way into your own heart. Reaching the center, one may choose to release things that are not serving for highest good. Walking back out, one brings a renewed and rekindled spirit back with them. 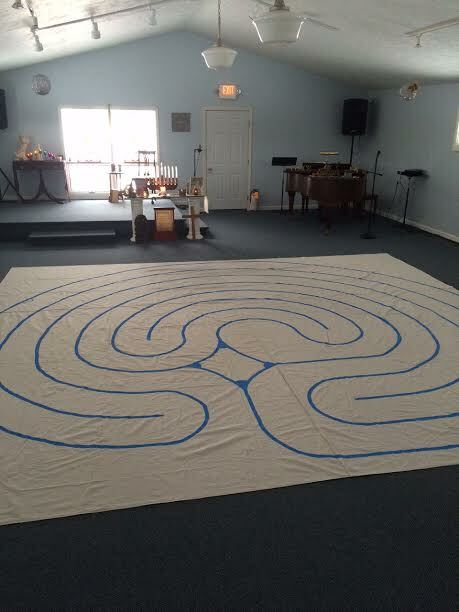 For centuries labyrinths have provided the space for meditation, prayer and self-reflection. 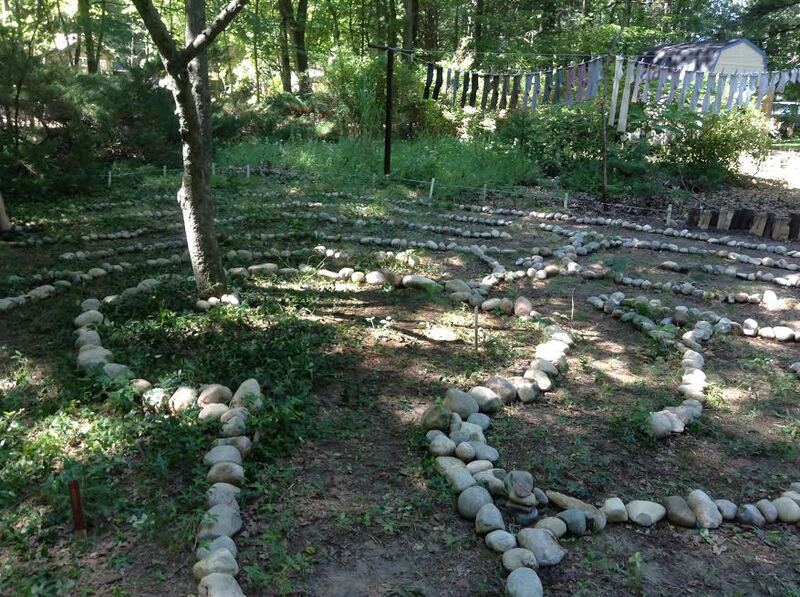 The Spirit Space labyrinth is a sacred place, open to all who desire to walk it and experience for themselves the gifts it offers. Are you in need of quiet rest, a respite from the ‘busyness’ of the day, a longing for touching the Divine within, healing for your spirit, centering yourself, clarifying a question, listening for an answer? 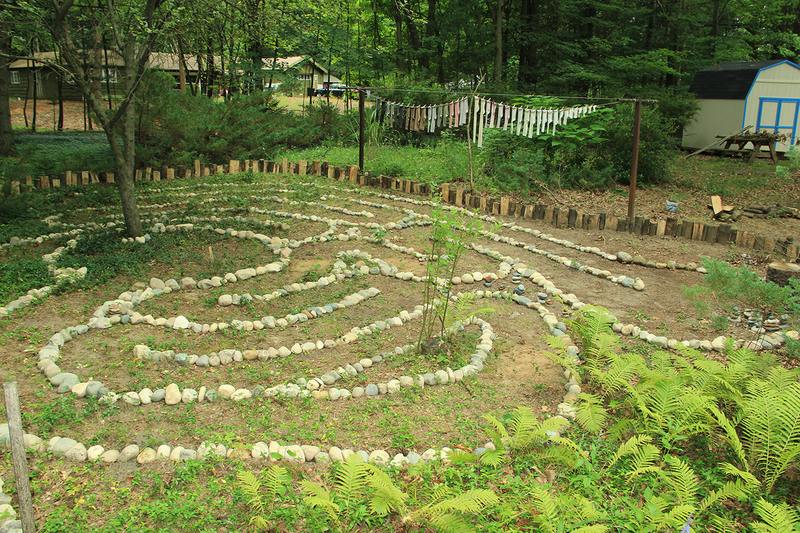 The labyrinth offers a path for all of these and more. It is contemplative, meditative and healing in nature and the beauty of walking it is that it will help facilitate whatever intention you take into it. What is of primary significance is simply to experience a labyrinth and allow that to inform you. Before entering the labyrinth, pause a bit. Take time in gratitude to be thankful. Bless the people in your life. If there is a particular event or situation troubling you, bring it to mind and form a healing question around it. Walk into the labyrinth. Quiet your mind and let the monkey chatter go; release your troubles and distractions. Breathe deeply and awaken your senses. Allow your body and feet to lead at whatever pace feels good for you. Open your heart to feel whatever it might feel. Relax and move at the pace your body wants to go. You may stand or sit in the center. Pause and stay there for as long as you desire. This is a place of reflection, meditation and prayer. Listen to the Spirit through your inner voice. In the safety of this space, be receptive. Walking out of the labyrinth. Begin walking out the same path you entered. As you walk out, integration of your experience happens. Experience whatever healing, peace or sense of well-being may come. Listen to your heart. The path is a two-way street. You may be going in and encounter someone on the way out. You may pass people or step out of the path to allow someone to proceed. Do what feels natural when you meet them; it may be a hug, a touch of the hand or eyes averted and focused on the path. Notice your own actions in relation to others-it often reflects an aspect of your life. 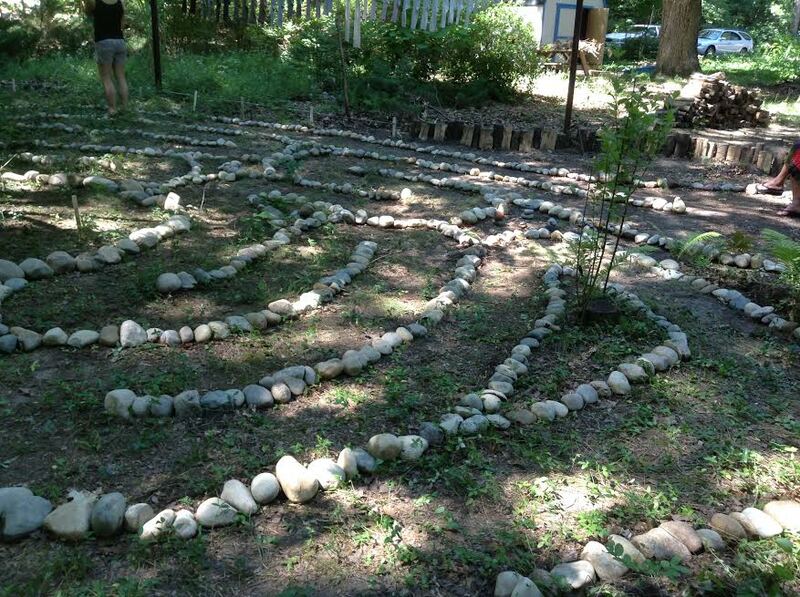 Throughout the winter months, we welcome all interested in walking our canvas labyrinth. 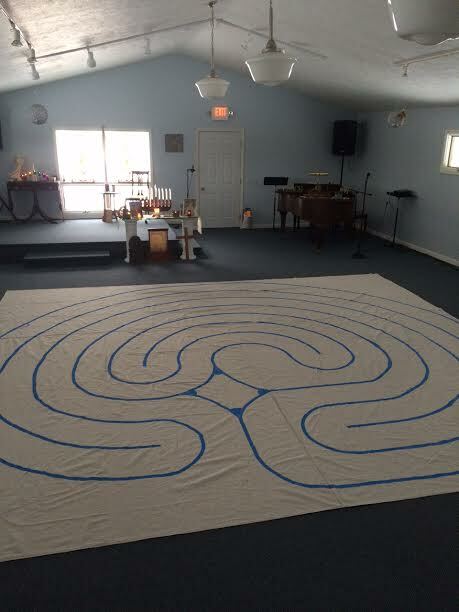 Our canvas labyrinth is available once a month in our sanctuary. 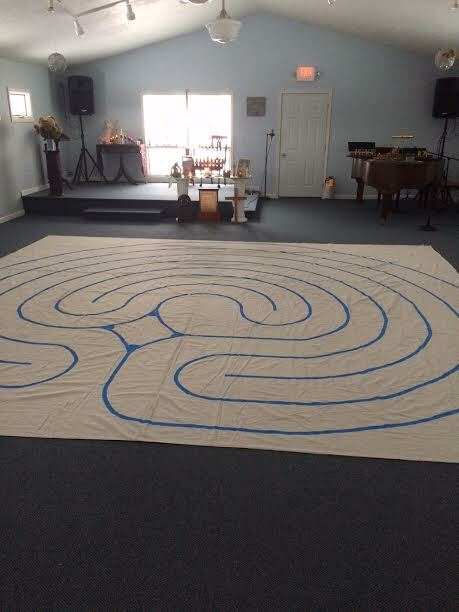 Learn about the healing powers and the spiritual growth possibilities as your brain focuses on the path and you journey through our labyrinth. Call 616-886-2716 or email: TheSpiritSpace@gmail.com for more information.